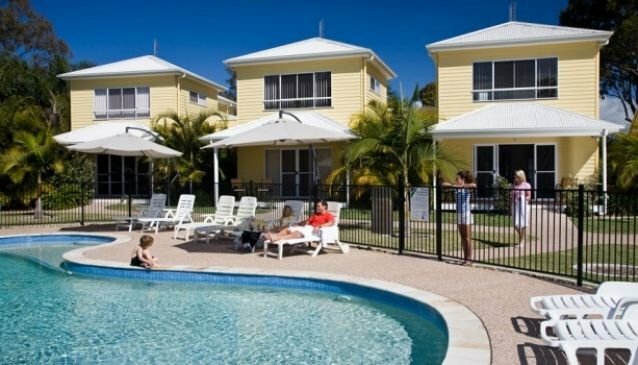 Treasure Island Holiday Park is centrally located to give you easy access to beaches as well as the major theme parks. Harbour Town is only a short distance away where not only a large variety of shops can be found but also a cinema. Different styles of accommodation are available at Treasure Island, including villas, units and cabins. For the campers and caravans all sites are powered. There is plenty to do within the park to keep children busy and entertained including a swim in one of the three swimming pools. For the older children a game of tennis might be the way to go. Two laundry blocks are on site as well as a camp kitchen.